Google Encrypts ALL Keywords...Now What? Last week’s announcement by Google is a prime example of why Inbound Marketers need to be an agile bunch. Tuesday, the search behemoth shocked the digital marketing world by encrypting all organic search activity, making all keywords unavailable or “not provided” as Google puts it. Translation: Marketers will no longer be able to view what keywords a visitor used to find and then visit their website. And this change means the information is no longer available on any web analytics tool. ….except Google Adwords. Yep, you got it, now only those who advertise on Google can access this vital information. This is not the first Google rodeo when it comes to keyword hoarding. 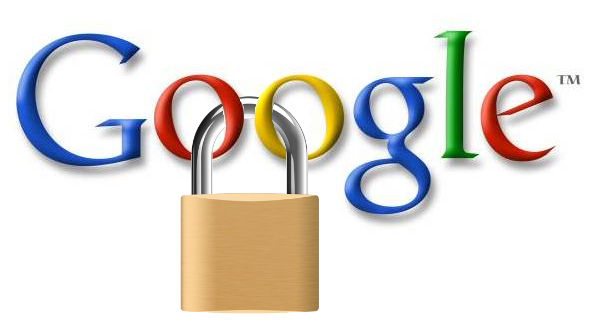 In the past, Google has taken quiet steps to encrypting organic search results. In 2011, Google announced they would start encrypting keyword data for users logged-in to any Google product (YouTube, Gmail, Google+). That change stripped approximately 20% of the keyword data for most companies. Why would Google do such a thing? As you can imagine, there are several theories floating around about why Google would flip the big switch. Matt Cuts, head of Google’s search spam team, stated that Google’s move is designed to provide “extra protection to more users who are not signed in.” But the blogosphere and other marketing resources seem to think Google’s motives have little to do with protecting the good people. And what about the marketers? Sorry fellow marketers. This impacts us the most. With this new announcement, encrypted keywords do not allow keyword data to be shared to websites and web analytics tools –including Google Analytics. Unfortunately, this puts a slight damper on our keyword insights, forcing us to adjust our strategy in how we segment users by keywords and SEO (search engine optimization). Best practices today demand knowledge of keywords we know our target buyer personas use in organic search when creating website content. Recently, Google reassured website owners that only a single-point percentage of keyword data constitutes “not provided” keywords, even with the complete encryption switch. However, recent studies have shown that this percentage is far from standard across different industries. Listen up tech companies, this one’s got you in the bullseye. According to a BridgeEdge.com report in August, a whopping 56% of traffic to software and technology sites comes from Google secure search, accounting for the highest reach for “not provided” keyword data. The chart below lists other industries impacted by secure search, including business services. Use other search engines for organic data. Google isn’t the only kid on the playground. You can still pull keyword data from other search engines like Bing, Yahoo and AOL. This will not paint the whole picture of keyword searches, but it still provides insight for 33% of the search engine market. Track your most visited webpages and content. Using your web analytics tool, keep a close eye on the webpages and downloadable content that receive the most activity. If there’s a trend, this would be a great starting point for where to focus your keyword efforts. Don’t forget your buyer personas. Well-defined buyer personas should reveal key challenges and buzzwords that start the search for a solution. Build keywords based on these concerns. The jury is split. Is Google being a good digital citizen or a greedy Gus? Frankly, there’s nothing that can be done about it, so it doesn’t matter. The fact is, living in a digital world comes with a price. We have to be able to adapt to whatever technical, innovative, or uncontrollable circumstances come our way. We still have a mission to fulfill in reaching customers that need our services. So thanks for the lemon, Google…. Now we’ll just have to make some lemonade. So how will you adjust to Google’s changes? What strategies would you recommend?